When I was a teenager, I was so into vintage clothing that I spent my spare time at the library reading stain guides. No kidding. Water-based stains (like juice or dirt) will be held by natural fibers (linen, cotton, wool, silk) and repelled by synthetic fabrics. Oil-based stains (like greasy food or lotion) are held by synthetic fabrics and repelled by natural ones. It's come in handy time and time again, when I'm shopping for vintage clothes and need to know whether some stain will likely disappear with a bit of effort. Some stains are merely on the surface, as the fiber is relatively impenetrable to the stain. Others have soaked in and will need soaking in turn. Then there's also the combination stain, like perspiration or lipstick, which contains both oil-based and water-based components. Most stain types can be figured out with a bit of thought & common sense. 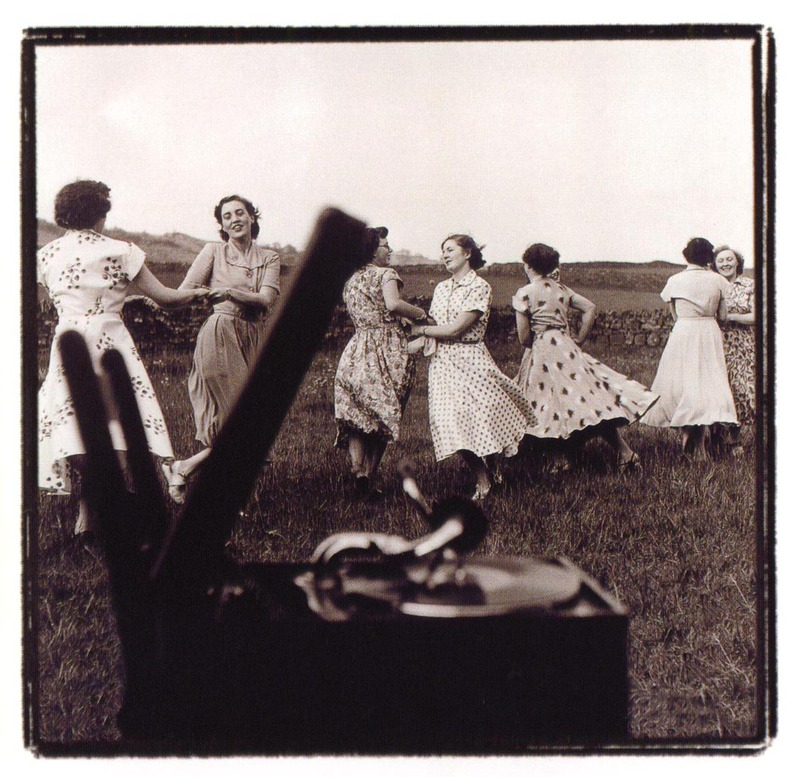 Ladies dancing in vintage dresses, likely cotton or rayon, in the 1950s. combination stains if not washed out - both body oil and water from sweat. There are plenty of other questions surrounding this principle, such as how to identify stain types (is this dust or dye transfer?) and fiber content (is this silk or rayon?). I'll work on tackling those topics in another post. Until then, Vixens, happy shopping! Shop at Inspirations for unbeatable low prices, hassle-free returns & guaranteed delivery on pre-owned items. If you are looking for used clothing near you in NJ, then it can be a good option for you. Ecommerce or electronic commerce is an application used widely for increasing business online. Today companies want to buy and sell their products online. So they need to add a shopping cart to the website to make it easier for the customers. Now how will they make a shopping cart website to attract their customers? The ecommerce is a content management online furniture India which allows the companies to design their website in the way they want. Which is the best study abroad consultancy in Hyderabad ? Studying abroad Rcare can be a life-changing decision and needs to be handled with great planning and care. It is not as easy as it might seem. All the little details and procedures involved in the process make a huge difference and hence, the help of a good overseas education consultant becomes very crucial for this. You will come across many options for the study abroad consultants but choosing the right one is the actual task. Could anybody suggest me good consultancies in Hyderabad for an MS in the U S ? However, if you are adamant on US then the suitable study abroad consultants can be the Chopras, Global Tree and Hyderabad Overseas Consultants. Who are the best overseas educational consultants in India ? It’s important to segregate the course you want to do and the suitable country. Then you should think about the appropriate consultancy. If you are unclear about these basics, then also you may opt for consultation. My belief is that Germany is the best option if you are keen to study abroad. Studying in Germany costs really less as compared to other places because the German public universities charge no/negligible tuition fee. You must go through the German student visa checklist. You can find more information about the German universities on www.daad.de and www.uniassist.de . If Germany suits you and your course preference, then you can contact Rcare- a study abroad consultant in Delhi which serves the rest of the Indian states too. They schedule the German visa appointment and also provide German language classes in Delhi germanlanguage and online classes for the non-Delhiites, which makes the process of getting visa at German embassy quite smooth. However, some other options for getting consultation include Apsa, the Chopras, Global Tree, Abroad education Consultant, Visu Academy etc. Who is the best overseas education consultant in Delhi or Noida ? Some other options for the study abroad consultants in Delhi and Noida include Apsa, the Chopras, Shiksha Overseas, Global Study Abroad and Immigration and Clan Learning. Which are the study abroad education consultants in India ? There are a lot of study abroad consultants Rcare in India that help with the process of visa application and guiding about the education system abroad. However, I believe that one should thoroughly surf the net for suitable country and the course you want to pursue there. The further guidance can be given by your chosen overseas education consultant. Studying abroad needs a lot of preparation and document work. Missing out even on one process or document can lead to a rejected visa and complete failure. The role of a consultant gains importance here. The options are the Chopras, Rcare, Apsa, Edwise International, Global Tree etc. It is important you choose the best country according to your course and convenience. I would like to highlight education in Germany in this context. The cost of education in Germany is very low due to the presence of public universities. Rcare is an overseas education consultant which mainly emphasises on the European region, highlighting Germany because of the quality and cost of education. An added advantage to consult from Rcare is that it offers German language classes germanlanguage too. This makes the application and visa process quite smooth. You can take guidance about the German student visa checklist from them and more information can be found on www.goethe.de , www.uniassist.de and www.daad.de . Who are good consultants in Mumbai for study abroad ? Would an enforced flower girl dresses code for administrators, teachers, and other school staff have a positive impact on academic and behavioral standards in public and private schools? Do professional educators and staff ever get educated in how to dress professionally? Should that be a required part of getting a teaching credential or is that left up to the individual who needs mentoring? Will dressing more professionally promote higher academic standards? Who will decide the standards? Who will enforce them? Where will change in troubled American education begin? Whose responsibility is it?